Renewed for a sixth and final season, the fifth season of the Girls TV series premieres on HBO, Sunday, February 21, 2016, at 10:00pm ET/PT. Check out HBO’s Girls season five photos, above and below. Watch a Girls trailer and a season five promo, and get episode descriptions, too. The cast of Girls includes: Lena Dunham, Allison Williams, Jemima Kirke, Zosia Mamet, Alex Karpovsky, Adam Driver, Andrew Rannells, Ebon Moss-Bachrach, and Jake Lacy. Girls was created by Dunham, who executive produces with Judd Apatow, Jenni Konner, Ilene S. Landress, Murray Miller, and Bruce Eric Kaplan. Watch this Girls season five trailer from HBO. Hannah is putting her writing ambitions aside for the moment, continuing to work as a teacher alongside new boyfriend (and nice guy) Fran. Marnie micromanages her upstate wedding to Desi, but soon begins to realize she needs more space, literally and figuratively. Working towards becoming a therapist, Jessa tries to stay on the straight and narrow while managing a budding relationship. Shoshanna thrives at her new job in Japan, where she flirts with her boss, despite a long-distance relationship back home. Created by and starring Lena Dunham, the Emmy®-winning HBO series GIRLS takes a comic look at the assorted humiliations and rare triumphs of a group of women in their 20s. Judd Apatow, Jenni Konner, Lena Dunham, Ilene S. Landress, Murray Miller and Bruce Eric Kaplan executive produce the show, which kicks off its ten-episode fifth season SUNDAY, FEB. 21 (10:00–10:30 p.m. ET/PT), followed by other half-hour episodes subsequent Sundays at the same time. In addition to Dunham, who stars as Hannah, the cast includes Allison Williams as Marnie; Jemima Kirke as Jessa; Zosia Mamet as Shoshanna; Alex Karpovsky as Ray; Adam Driver as Adam; Andrew Rannells as Elijah; Ebon Moss-Bachrach as Desi; and Jake Lacy as Fran. Returning guest stars for the fifth season of GIRLS include: Rita Wilson as Marnie’s mother; Peter Scolari and Becky Ann Baker as Hannah’s parents; Jon Glaser as Laird; Gaby Hoffman as Adam’s sister, Caroline; Aidy Bryant as Abigail; and Jason Ritter as Scott. New guest stars this season include: Corey Stoll as Dill; Lucy Liu as Detective Mosedale; and Frank Wood as Oscar. Marnie micromanages her upstate wedding to Desi while trying to maintain the facade of the breezy bride, and tasks Shoshanna with kicking out Fran, Hannah’s date, so the girls can get ready. Banished to the boys’ den, Fran has an awkward moment with Adam. A dejected Ray steps in to help Desi with his wedding-day jitters. Written by Jenni Konner & Lena Dunham; directed by Lena Dunham. The series is also available on HBO NOW, HBO GO and HBO On Demand. In 2012, GIRLS won an Emmy® for Outstanding Casting for a Comedy Series, and has received 14 Primetime Emmy® nominations to date. In 2013, it was the only HBO series to be honored at the Golden Globe Awards, winning in the categories of Best Television Series — Comedy or Musical and Best Performance by an Actress in a Television Series — Comedy or Musical (Lena Dunham). The series was recently renewed for a sixth and final season, scheduled for 2017. “Girls: The Complete Fourth Season” will be released on Blu-ray with Digital HD & DVD on Feb. 16 and is currently available on Digital Download. GIRLS was created by Lena Dunham; executive producers, Lena Dunham, Judd Apatow, Jenni Konner, Ilene S. Landress, Murray Miller and Bruce Eric Kaplan; co-executive producer, Tami Sagher; producers, Jesse Peretz, Sarah Heyward and Regina Heyman. Are you a fan of HBO’s Girls TV show? 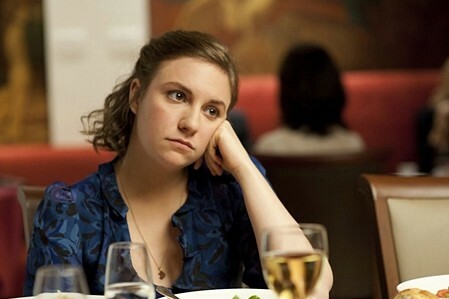 Do you plan to watch the fifth season of Girls? Do you agree with the decision to end the series after six seasons, or could it have gone longer? Tell us.